There was no shortage of nostalgia wrapped up in the boxes that hold our Christmas decorations. Each time I pulled something out of the box, it reminded me of the place it sat in our beautiful Stockholm apartment and evoked even deeper memories of how it was obtained. 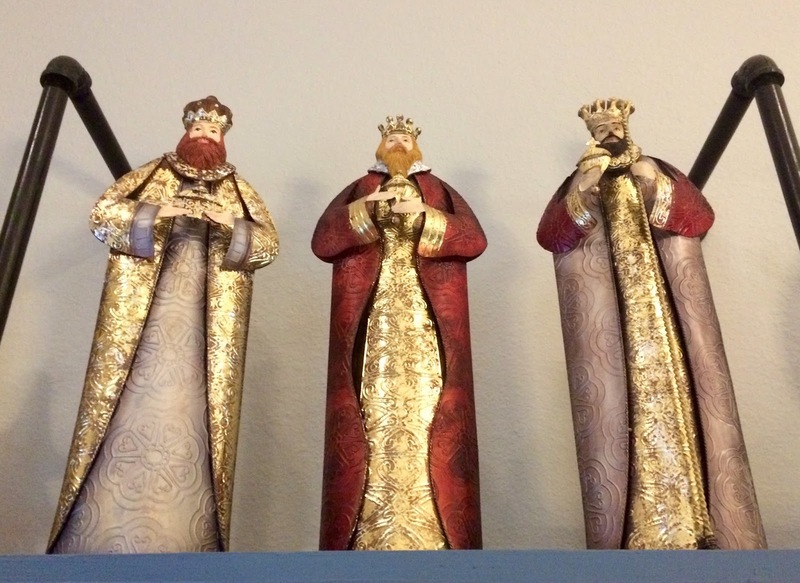 Most of our Christmas decorations have a story behind them and many of them were gifts. So today I share with you some old favorites that have good histories. There are two trios that represent so much meaning and joy for me. First, the three wise men, each bearing their gifts for the new born baby King Jesus were purchased in Stockholm from the Villeroy and Boch shop. I had first seen them in a friend's apartment and just fell in love with them. Fortunately for me, they were on sale in the post-Christmas "rea" (sale in Swedish) so I snapped them up. 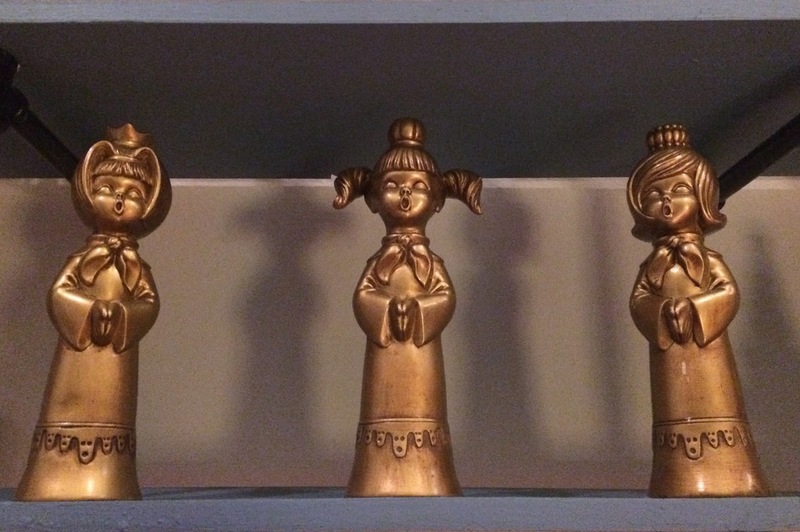 They used to hold a prominent place on our fireplace mantle in Stockholm but here they sit on the top shelf of our wall shelves. They look beautiful! The attractive angel choir with the 60's hairdos are treasures from my childhood. They are marked on the bottom with my mom's initials and '66, representing the date she finished them. 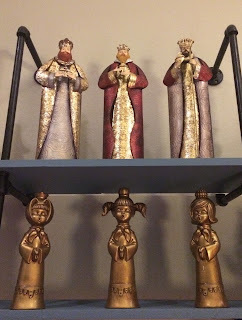 Yes, she decorated these ceramic candle holders and I loved them when I was a kid. 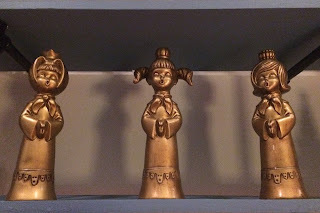 They sat atop the piano in my childhood home and I remember looking at each of them, wanting each hairdo as my own, especially the pig tails. Of course, I had a pixie cut as a kid so it was all hopelessly impossible to have such chic hair styles! Savoring the joy of Christmases past, anticipating the joy of Christmases to come, sitting in the present surrounded by treasures that evoke memories are gifts to me on my advent journey.